In order to have a secure governing coalition, a governing coalition of at least 9 mandates would be needed in this sixteen-member parliament. 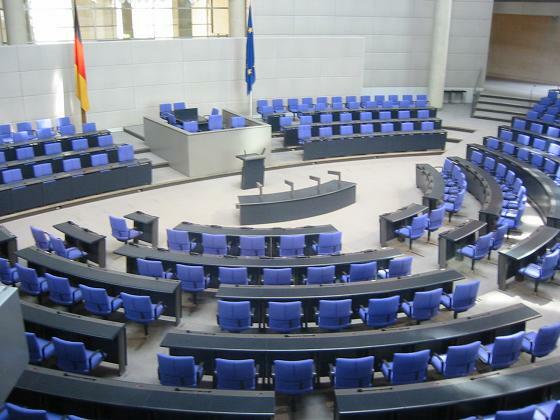 The FDP were unable to convince any of the other parties to form a governing coalition with them, and the government that was voted into office, by a majority vote of 10-6 was a three-party coalition of the Greens, CDU/CSU, and the SPD. In the end, it was the personal ambition of the CDU/CSU leader–Patrick S.–that ruled the day. He wanted to become Chancellor and this steely determination served him well as he, with his fellow party members and advisory committee, was able to effectively forge a rather wieldy three-party governing coalition. Why did Patrick S. want to become Chancellor so desperately? There have been reports in some of the leading journals that it has been his dream since childhood. But in a sit-down interview with Deutsche Welle following his ascension to the Chancellorship, Chancellor S. claimed that it was because this election was crucial to the future of the German state. According to the Chancellor, he and his party believe that a moral crisis of epic proportions has descended upon Germany and only his party had the necessary moral acuity to set Germany back on the correct path. One of the advisers to the SPD commented that the SPD actually had refused to sign a coalition agreement offered to them by the FDP, which in retrospect, was better for the SPD than the one they signed ultimately. There seemed to be a consensus within the SPD that the arrogance of the FDP had created friction between the two potential coalition partners. I look forward to reading your impressions of the simulation exercise on your blogs.